Emily holds a BFA in drawing, painting, and printmaking from Iowa State University. She is currently pursuing an MA degree in Visual Arts Education at the University of Kansas. Emily draws inspiration from the beautiful Kansas landscape. She uses bold colors in her abstract works which incite an emotive response from the viewer. Subtle texture variations create movement throughout her energetic paintings. 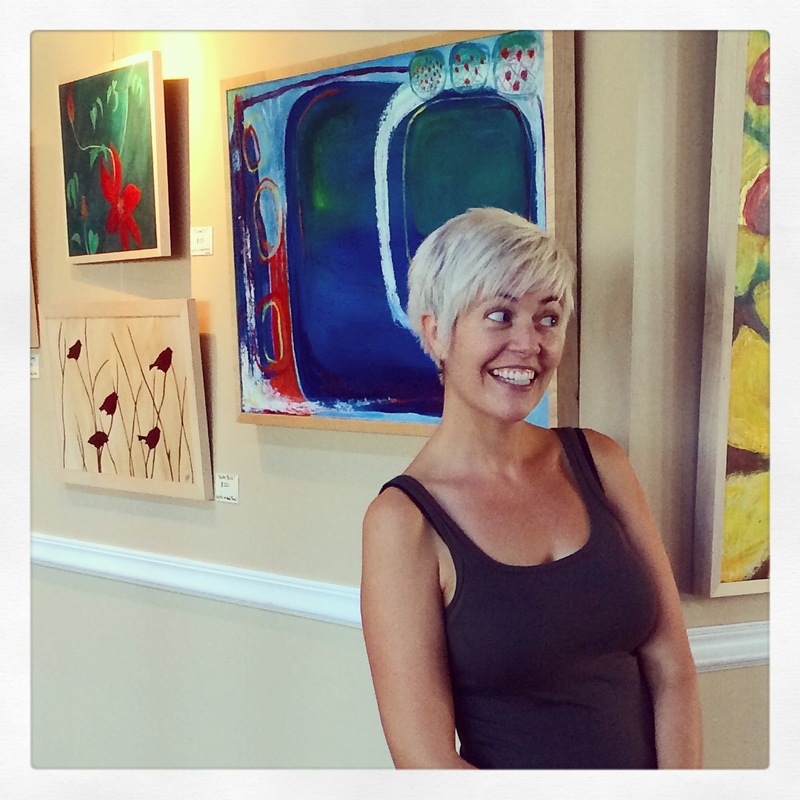 Emily uses a variety of media in her paintings on both canvas and wood panels. These include oil, acrylic, and watercolor paints, oil pastels and oil bars. Her paintings are available for purchase through this website as well as through a variety of art exhibits, including Final Fridays, and the Lawrence art walk, as well as private shows. Emily donates annually to the Lawrence Arts Center’s benefit art auction. ps – please keep me posted on your upcoming shows.